What will happen in week five? The heart of your baby will start beating soon!! Amazing isn’t it? When you are almost five weeks pregnant, you must be having some symptoms of the pregnancy. Do you know how much your little darling has grown? Your baby will be rocking an apple pip vibe. But this again is not for so long. 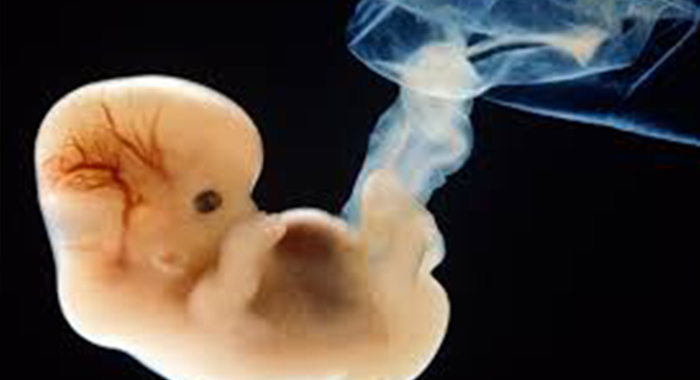 At five weeks gestation, they will be about 5mm long, and their brain, heart and the spine will be growing at a pace. The heart of your baby will begin beating shortly, and if you have an advanced scan in the weeks to come, then you would see it flashing on the monitor. In this stage, your baby’s head will also begin to show signs of development with the neural tube developing, which is the start of the connection between their spinal cord and brain, which will aid to control your baby’s essential functions along with heart rate and also blood supply. Your baby may now resemble a tiny tadpole. However, their limbs also start to develop with nubs beginning to turn into small limp flippers, the precursor to arms and legs forming. 1.Now the amniotic sac will house the embryo, and it will be floating in the sea of fluid. 2.The embryo will be the size of that of a sesame seed. 3.The neural tube will grow into your baby’s brain, nerve and spinal cord. 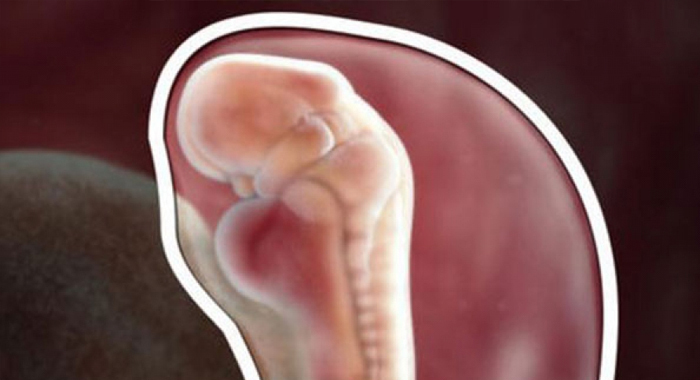 The embryo, which lies deep in your uterus, begins to grow at a furious pace. At this point, he’s nearly the size of a sesame seed and resembles more like a tadpole than a human. The baby will now be made up of three layers such as the ectoderm, the mesoderm, and the endoderm. These will later form all of the vital organs and tissues of the baby. The neural tube, which is from which the baby’s brain, spinal cord, nerves, and backbone will grow, will begin to develop in the top layer, which is called as the ectoderm. This layer will also give rise to his hair, nails, skin, mammary and sweat glands, and even the tooth enamel. The baby’s heart and the circulatory system start to form in the mesoderm or the middle layer. Moreover, in this week, his tiny heart starts to split into chambers and pump and beat blood. The mesoderm will also develop the baby’s muscles, bone, cartilage and subcutaneous (under the skin) tissue. The third layer, which is known as the endoderm, will house the lungs, intestines, and also the early urinary system. Moreover, it will also house the liver, thyroid, and pancreas. Meanwhile, the primitive placenta and umbilical cord, which carry nourishment and oxygen to the baby, are already on the job. The ball of cells will now appear similar to a tadpole and will be as big as a peppercorn. The formation of the heart, brain, spinal cord, and blood vessels is already well begun. Baby’s Length: It is around 0.05 inches. Baby’s Weight: It will be less than 0.04 oz. Bladder: You may shortly begin to notice a more frequent urge to relieve yourself. Your blood volume is rising, which creates a lot of additional fluid that ends up in the bladder. Embryo: It is nearly the size of a sesame seed, and it is made of three layers of cells that are enveloped over on each other. Neural tube: You will be bale to find the neural tube at the fold of the top layer of the embryo. It will grow into the baby’s brain, nerves, spinal cord and also the backbone. Primitive placenta: The tiny blood vessels that form the primitive placenta carry the nourishment and oxygen required to the embryo. Yolk sac: The yolk sac will shortly yield its role delivering nutrients to the growing placenta. Amniotic sac: The amniotic sac will house the embryo, which swims in a rising sea of amniotic fluid. You may find some pregnancy-related uneasiness already. Many women describe fatigue, sore breasts and frequent urination beginning in the early weeks. You may also feel queasy, though it’s more likely to come up in the weeks following. The outside world won’t find any sign of the dramatic progress taking place inside you, except, maybe, that you’re turning down the glass of wine while at a dinner. You’ll also need to figure out a proper exercise routine, though some women have to fix this on hold till first-trimester nausea and fatigue run their course. Exercise aids you to develop the strength and stamina you’ll require to manage the additional weight you’ll be carrying. It may aid in preventing some of the twinges and pains of pregnancy, and many women notice that it’s a great stress-reducer. Exercise can also assist you to get ready for the physical difficulties of labour. Finally, it’s easier to jump back after you give birth if you’ve continued exercising during the pregnancy period. Choose a safe, fairly vigorous exercise you enjoy. Walking and swimming are two of the best choices for pregnant ladies. 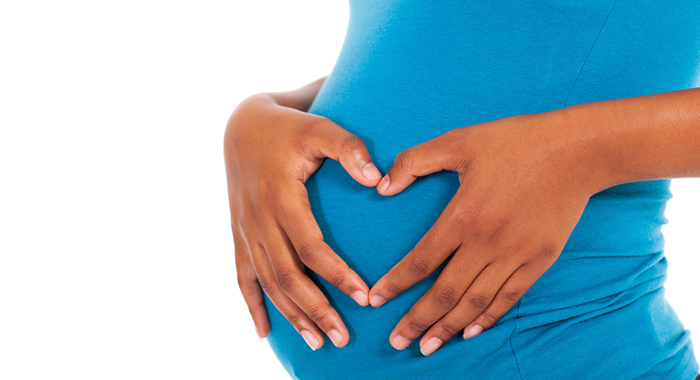 There are a number of ways your partner can join in your pregnancy – even this stage. So, you can check that too and remain happy throughout the pregnancy.